Has your school worked with an influencer before? Are you curious to know what the process of involving influencers could look like?  This fall, a team of high school influencers partnered with Glacier. They were flown out to Bishop's University where they documented their weekend experience over social media. One of these talented teens created a blog post about her experience. Enjoy the read. October 12, 2018. At around 6:30 PM, I sat in the backseat of an Aeronavette shuttle, staring out the window as the sun set on an autumnal Quebec evening, a landscape of vermillion and gold gradually painted pitch black by night. In the shuttle with me sat seven people I had only met a few hours previous; we chatted through the whole ride about various things, from the atrocities of the first episode of Black Mirror to our most memorable birthdays. In a little over two hours, we pulled up at a quaint little motel with red-painted doors, which would be our home for the next couple days. Stars winked at us from the dark blanket of sky above. The main road we’d just come off of was studded on the edges with a few gas stations, restaurants, and motels which sat quietly at this late hour. A few hours later, we would all be sitting in one motel room, talking deep into the early AM about everything and nothing in particular. Strangers, but despite it (or perhaps because of it) speaking freely with one another as if we’d been friends for years. In August of this year, I received a DM on Instagram from a company called Glacier, a Calgary-based startup that advertises post-secondary education through many different channels, one of which is student social media ambassadors. They offered me a job with them as such a micro-influencer, wherein my task would be to help promote Bishop’s University in Sherbrooke, Quebec. When I first heard that they wanted to fly me to Quebec, my first thought was that it was way too good to be true- it had to be a scam. However, after doing more research and consulting with my parents, I decided to accept the position. 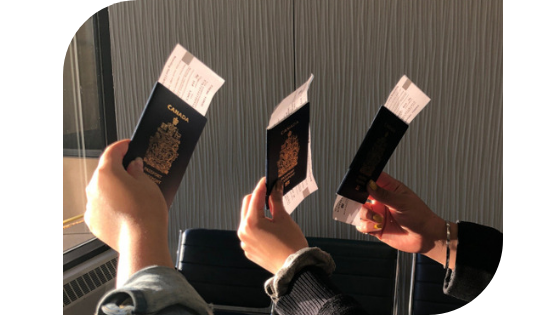 That’s why, two months later, on a bright and crisp October morning, I- along with my fellow Calgary influencers, Manveet and Minjing, and our manager, Sade- hopped on a plane headed for Montreal. At the airport, we met up with the others: Dana and Brian from Vancouver, Adam from Kitchener, and Dan Seneker, Director of Enrolment Manager at Bishop’s University. From there on, the very first scene that you read a few minutes ago unfolded, plus a few more details I haven’t mentioned yet. It was a funny twist of fate that the day this crazy cool trip began was also the day of my 17th birthday. 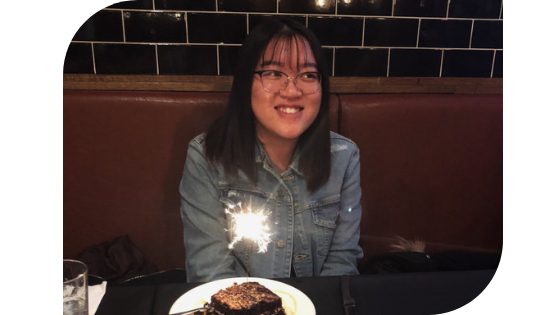 That night, at dinner, I was serenaded Happy Birthday by near-strangers, in a province I’d never been to before, on a trip I could still barely believe was really happening. It was strange and unprecedented in my thus far relatively unsurprising seventeen years of life, but I was very happy about the adventure of it. The next morning, it was showtime. After a quick breakfast of bagels and coffee (the two main food groups, of course), we headed to Bishop’s University for their open house. Before leaving, Dan generously gave us each a bag of Bishop’s swag, including shirts, hats, water bottles, and even lip balm. Needless to say, everything was the school’s trademark purple! As we drove into campus, Dan gave us a mini rundown of the buildings. The most memorable of these was McGreer Hall, which Dan introduced to us, very aptly, as Hogwarts. Built in 1846, three years after Bishop’s was founded, McGreer was a sight to behold. I half expected to see students wearing uniforms and robes congregated in front of its great brick facade. The day was pretty packed from there on. First, we went to register for the open house. During the registration period, we also had the chance, if wanted, to actually apply for Bishop’s University. Then, we had the opportunity to talk to professors in different fields in the gymnasium. I spoke with some people at the Williams School of Business booth, and got some information on their different programs (finance, accounting, global management and leadership, marketing), and the dynamic learning environment there, which features guest speakers, live case studies, and co-op education to name a few. Something that stood out to me from the very get-go was the genuine warmth and care that everyone on campus showed to me and to one another. As someone who draws a lot of inspiration and strength from the people and environment around me, this was something that would make me want to apply here. Support from staff and fellow students are definitely not in short supply, and this shows in Bishop’s students’ achievements: two students were recently respectively awarded the prestigious 3M National Student Fellowship Award and Queen’s Silver Jubilee Scholarship. After the presentation, we headed over to Dewhurst Dining Hall, affectionately nicknamed Dewies, for lunch. Ranked by The Huffington Post as the #2 best university food hall in Canada, Dewies definitely lived up to culinary expectations! For the next hour of our afternoon, we embarked on a student-led tour of the campus, exploring everything from dorm buildings to classrooms to the stunning new library that was just built this year. Don’t judge a book by its cover- even if the cover is a nice one. Apart from its lovely buildings, both historical and modern, Bishop’s strength also lies in its environment and integrity as a school. Ranked by Macleans as the #2 safest university in Canada and #1 in student satisfaction, Bishop’s works hard to ensure the health and happiness of its students. Worried about leaving home to study? BU has security teams and life coordinators to help ease the transition between living at home and living alone, and you only have to reach out to receive any help you’d need in achieving comfort and success here. For those living in residence, there are also RA’s (Residence Assistants), students who improve residents’ experiences. They are there if you ever need help or don’t know where your classes are, and they also organize community events where you can get to know other people! 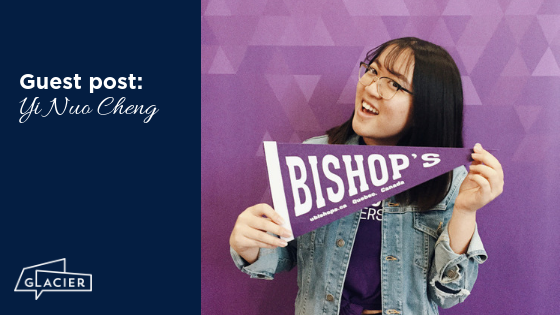 If you’re about that scholarship life, keep in mind that UBishop’s scholarship application deadline is March 1st, 2019! After a fun day spent immersing ourselves in the culture of Bishop’s University, the end came way too quickly. Though Sherbrooke had been hovering around a chilly 5 degrees all day, the spirit and welcome UBishop’s had shown us was more than enough to keep us warm. Hey there! Thanks for reading! 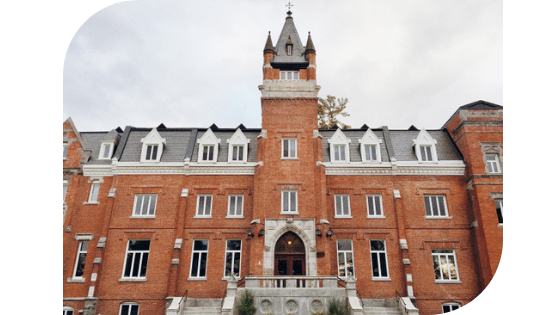 If you’re interested in finding out more about Bishop’s University, check out their website here or email recruitment@ubishops.ca. If you’re in the area, don’t forget to check out their Open House on March 9, 2019. You can also follow @UBishops & #UBishops on Instagram and Twitter! If you would like to see more of Yi Nuo's work, take a look at her website. Contact Glacier and learn more about how you can work with influencers to help drive awareness and engagement for your school.